This free, printable business plan can help horse owners, riders and trainers create sales strategies and development standards for their companies. [COMPANY NAME] was created to provide rehabilitation and therapeutic riding for socially and physically challenged individuals, who suffer from social disorders such as Autism, ADD, ADHD, Asperger's Syndrome, and eating disorders as well as Equine Enhanced Counseling for Post Traumatic Stress Disorder, trauma and addiction recovery. [COMPANY NAME] provides horseback riding as well as grooming and equine based therapeutic sessions to those in need (ages 3 years and up) that rehabilitate the mind and body while interacting and caring for horses. Equine-based therapy has been shown to improve the quality of life for those experiencing developmental disabilities that can cause significant social, communication and behavioral challenges as well as those experiencing delays in physical and intellectual development. 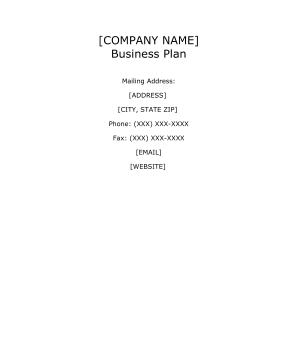 The current financial plan for [COMPANY NAME] is to obtain grant funding in the amount of $976,000. The grant will be used to purchase the facility and pastures, purchase equipment and supplies necessary to upgrade and maintain the property, purchase office equipment, and related supplies, and provide funding employee payroll and working capital.